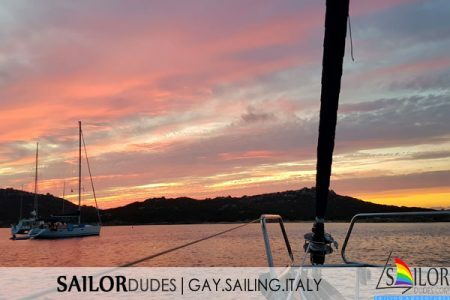 Check out the sailing area along the Italian Costa Smeralda of Northern Sardinia. 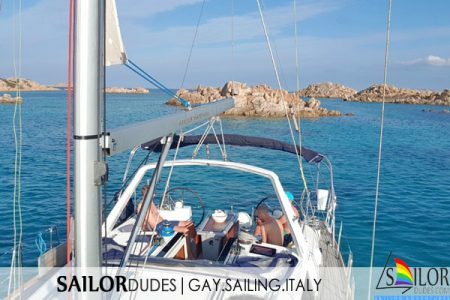 The Costa Smeralda runs along the northern coast of Sardinia and is a very popular (sailing) destination during high season. 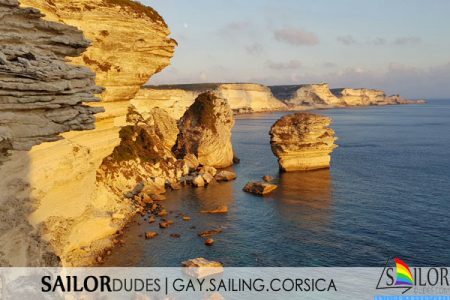 The coast and islands between Sardinia and Corsica offer a wide variety of landscapes and places to discover. The channel between Sardina and Corsica is relatively narrow, so one can have fresh croissants for breakfast and pizza for dinner. 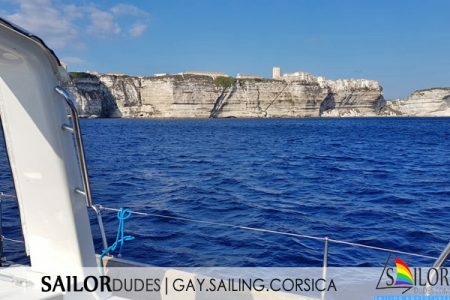 A crossing to Bonifacio is highly recommended and will be seen from far away due to the high cliffs on which it is built. 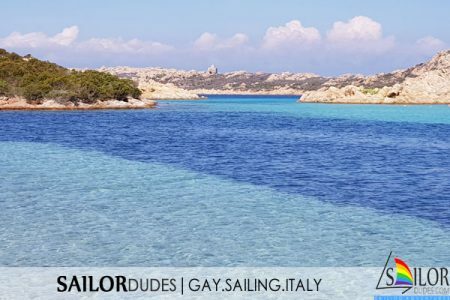 The islands off the northern coast of Sardinia offer bays and beaches with clear water. July and August are very crowded months with (extremely) high prices for marina's, especially in those where the jet set tends to spend their summer vacation. The further away from peak season, the less crowded it becomes. Early June of from the second half of september are for example quieter periods. Skippers note: this sailing area can be extremely busy in the summer months, so late spring or early fall is a good season. Apply mostly in marinas and highly depend on the season and the popularity of the marina. They can range from 40 euro in low, and 275 (!) euro in high season for a 15 meter yacht. Fees in bays, however, are rare.